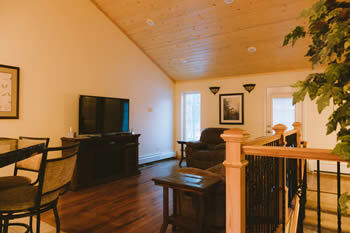 The beautifully designed Duplex has four bedrooms on each side and four full baths. 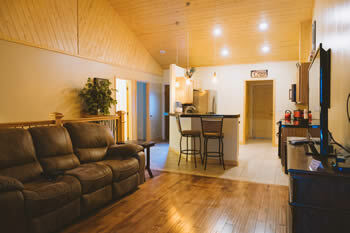 Coin operated washer and dryer, two reading/work dens and a full-size kitchen complete with appliances, cookware, dishes and utensils. 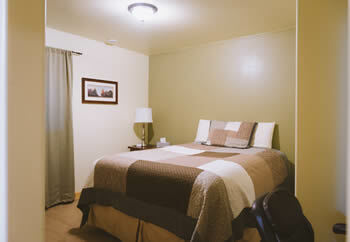 Each bedroom has private key entry, TV, cable, DVD players and high-speed internet. Each side has a private deck with exterior grill and fire pit. 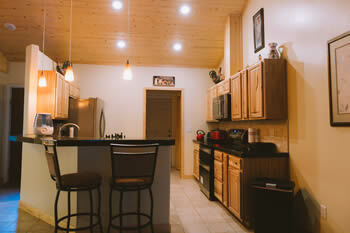 This home has been our guests preferred choice for lodging.